Strolling through a throng of construction workers, painters, and contractors Tuesday morning in The Town Center at ArundelPreserve, Marian Hrab marveled at her surroundings. 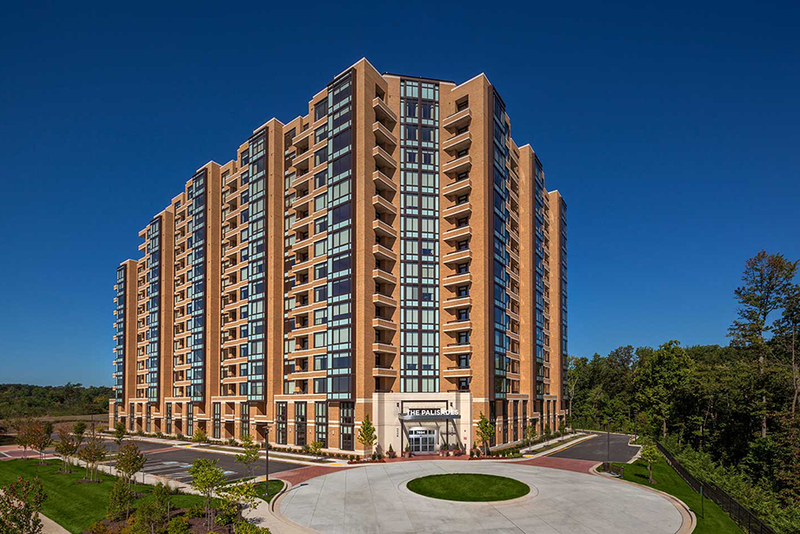 As director of sales and marketing for The Hotel at ArundelPreserve, one of a handful of structures in the new development, Hrab has watched firsthand as the seven-story hotel, five-story apartment building, and two multi-deck parking garages sprang up near the western end of Arundel Mills Boulevard in Hanover. A George Martin's Grillfire restaurant, the first in Maryland, is set to open July 28 on the first floor of the hotel. "Every time I come through here, I see something new going on," Hrab said as a group of men in hardhats prepared to raise a chandelier in the hotel lobby. With a restaurant, luxury hotel, luxury apartments, and retail space, the project will create more than 150 jobs. Matthew Santeramo, general manager for the Grillfire at ArundelPreserve, said the restaurant is hiring about 80 employees, from hosts and servers to bartenders and kitchen employees. Santeramo urged area residents to apply for those jobs at www.GrillFireArundel.com. "We're still looking for everything," he said. The 150-room hotel is scheduled to open at the end of July or beginning of August and bring as many as 70 jobs to the area, said David Hillman, CEO of Southern Management Corp., which is developing the project. Appliations are available at www.thehotelarundel.com. Jeff Makhlouf, general manager of The Hotel at ArundelPreserve, said construction began March 1, 2010. "We're excited to bring something unique to the area," Makhlouf said. "We're excited to bring a luxury hotel so close to the Arundel Mills mall, with the way it's developing, and the (Maryland Live!) casino. The whole team is excited to be a part of the next big thing in Anne Arundel County." The project will produce even more jobs when tenants begin occupying 18,000 square feet of retail space under construction on the first floor of the 242-unit apartment building. The apartments have been dubbed The Residences at ArundelPreserve. The project began primarily as an apartment project, Hillman said. With all of the growth in western Anne Arundel County, a central location in the Baltimore/Washington corridor, and an influx of people associated with the Base Realignment and Closure, the site was a perfect fit, he said. It was only after research showed there were no luxury, full-service hotels in the area - The Hotel at ArundelPreserve will have a spa, gym, indoor pool, and other amenities - that the decision was made to include a hotel in its project, Hillman said. Construction of the Maryland Live! casino a mile down Arundel Mills Boulevard didn't factor into the decision to build the Town Center, Hillman said, though he hopes casino patrons will stay at his hotel. He expects to see more hotel patrons if casinos are allowed to introduce table games. Joe Weinberg, president of development for Maryland Live! developer The Cordish Cos., said the company already has reached out to local hotels. "While we are not yet committing to any specific room bookings, we will attract a substantial number of tourists and other overnight stays in the area and will work closely with the local properties to accommodate this new demand," Weinberg said. "We are thrilled to have an excellent existing and new inventory of rooms in the area, with first-class operators." Plans for the Town Center also include an office building next to one of the parking garages, but those plans may change to make way for more hotel rooms, Hillman said. "If the hotel is as successful as we hope it will be, we might build another one," he said. "Office buildings don't make money." The Residences at ArundelPreserve is a bit further from completion than the restaurant and hotel. Property manager Wendy Caggiano anticipates both wings of the building to be complete by late August or September. A portion of the building already is complete, and residents will begin moving in Friday, she said. The building has studio apartments and one- and two-bedroom units. Rent will range from $1,275 per month for the studio apartments to $2,700 per month for the two-bedroom units with dens. The building will have its own pool, clubhouse, fitness center, yoga studio, and lounge. The apartments also will have granite countertops, stainless steel appliances, and full-size washers and dryers, among other features. "It's really going to look great when everything is finished," Hrab said.